English: "It's unlike anything I've ever done before" Tim English spoke to BulldogsTV about his performance this year, as the 2017 season comes to a finish. 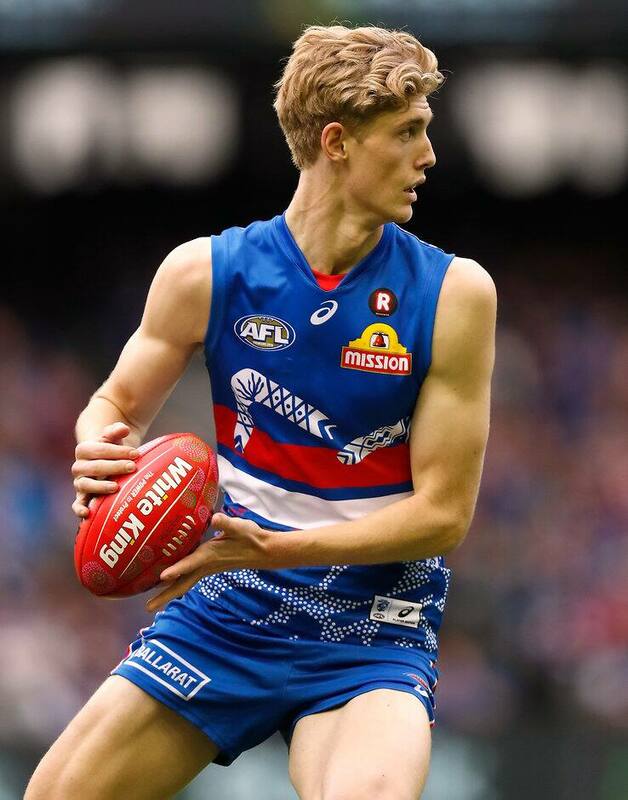 Taken with the Western Bulldogs' first selection in the 2016 NAB AFL Draft, ruckman Tim English debuted for the Western Bulldogs in Round 10 against St Kilda. The Western Australian played two senior games for the season. In a steady year of development, English played 15 games in the VFL, averaging 18 hit outs, 13 disposals, three tackles and four marks per game. At 205cm and 87 kilos, English will be looking to increase his frame in the pre-season. In April, English signed a contract to remain at the kennel until at least the end of 2020, an extension on his existing two-year draftee contract. “It was a really interesting year from my point of view. Obviously moving over from WA was a big transition. I spent my first year living out of home on my own actually. It was a good process for me. The football side of things as well was unlike anything I’ve ever done before and I’ve really enjoyed it. I really love being over here in Melbourne. “It’s a huge thing. It’s what every draftee strives for being able to debut for the club that drafted them and being able to play in two games.